Waterspirit, Inc., based in Asheville, had a sub-par site that didn’t play well with mobile (oops!) and wasn’t doing so well with search engines. 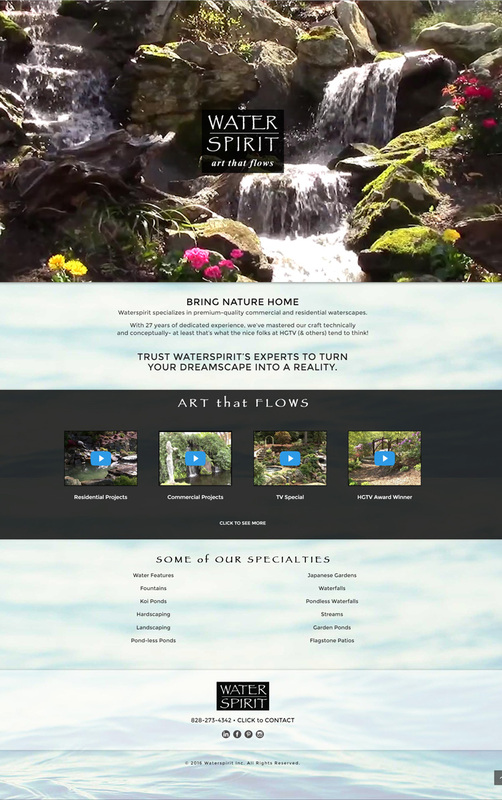 Waterspirit makes some of the most beautiful man-made ponds and waterfalls in Asheville and Charlotte – and they needed a better site to display their wares. Blue Dozen came in and gave Steve a beautiful, easy-to-maintain site that works well on any device and that plays really well with Google. WordPress, of course – with a custom theme, some sweet video embeds and a lot of custom design elements. Sweet!